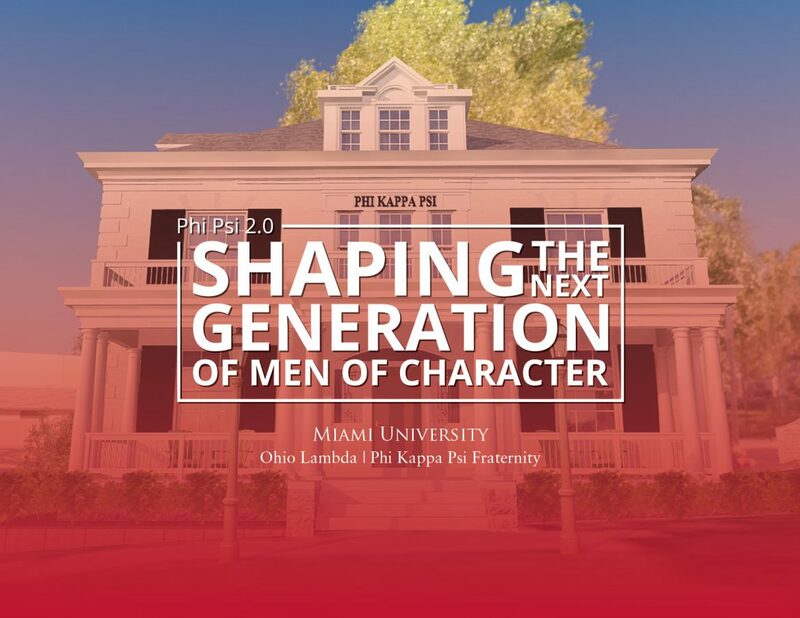 This $2,000,000 campaign is a visionary and historic opportunity to secure a safe, modern, state of the art home for Ohio Lambda, while providing the resources to recruit, train and retain the next generation of Phi Psi men at Miami. We are raising funds for two different, but equally important projects. Project one will require $1,500,000 in contributions for the renovation of the apartments and historic home and project two will require $500,000 for creation of the Ohio Lambda Leadership, Character, Strengthening Endowment Fund. Once fully funded, this endowment fund will provide $25,000 a year for recruitment scholarships, leadership development training and help offset the live-in Director cost for years to come. The entire project is significant and larger than any effort previously undertaken by the Ohio Lambda alumni and will position Phi Kappa Psi to be the new model for Fraternities at Miami. The goal is achievable, but it will require the financial commitment and leadership of many brothers.